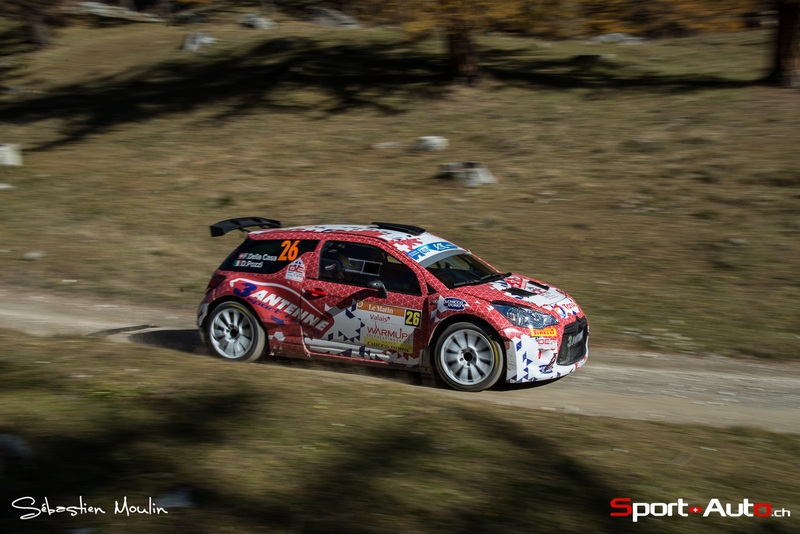 Alexey Lukyanuk won the final round of the 2015 FIA European Rally Championship, Rallye International du Valais, by 1m20.6s, after Craig Breen was given a post-event two-minute penalty. Breen had driven brilliantly, leading the spectacular Swiss asphalt event from start to finish and easing off towards the finish to provisionally win the event by 39.4 seconds. However, a genuine mistake by the Peugeot Rally Academy team saw Breen use 20 marked Michelin tyres instead of the allocated 18 on his 208 T16, and the Irish driver was given a two-minute penalty. 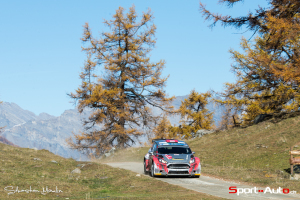 On his first appearance in Valais, Lukyanuk was delighted to have initially finished a magnificent second in his Russian Performance Motorsport Ford Fiesta R5. He set fastest time on all the last five stages – partly due to Breen easing off, and partly as his confidence on asphalt grew. Indeed, Lukyanuk drove like a Tarmac master, not making any mistakes when the conditions weren’t idea for the set-up and Pirelli tyres he had selected, and managing his overheating brakes on the long stages. After Breen’s penalty, Lukyanuk and co-driver Alexey Arnautov were awarded the win – their second in the ERC this year, following their victory on the auto24 Rally Estonia. Lukyanuk finishes third in the final ERC driver standings, behind champion Kajetan Kajetanowicz and Breen. OIivier Burri had hoped to add to his eight Rallye du Valais victories, but brake problems, spins and intercom issues intervened. The Citroën DS3 RRC pilot had to wait until SS14 before completing his first clean stage, yet he was happy to come home as top Swiss driver. Emil Bergkvist finished a fantastic fourth on his four-wheel drive rally debut. The ERC Junior champion took full advantage of his title-winning prize-drive to highlight what an extraordinary talent he is, driving faultlessly and growing in confidence with every kilometre. 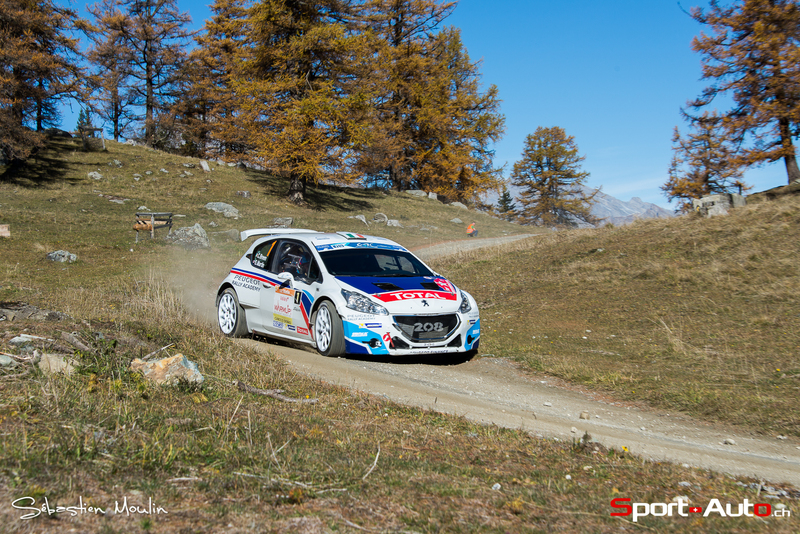 The 21-year old ADAC Opel Rallye Junior Team driver looked very much at home in the Saintéloc Racing Peugeot 208 T16, and having set a third fastest stage time, brought the car home to the finish without a scratch. 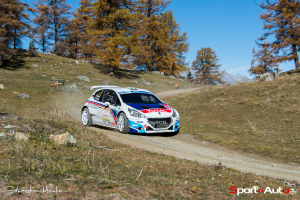 Having won the ERC Production Car Cup on the event last year, finishing ninth overall in a Subaru, Florian Gonon was delighted to come home fifth in his Lugano Racing Team Peugeot 207 S2000. Nikolay Gryazin gave the new ŠKODA Baltic Motorsport team a superb ERC debut, when the 18-year old Russian driver finished sixth in a Fabia R5, despite hitting a wall on SS13. 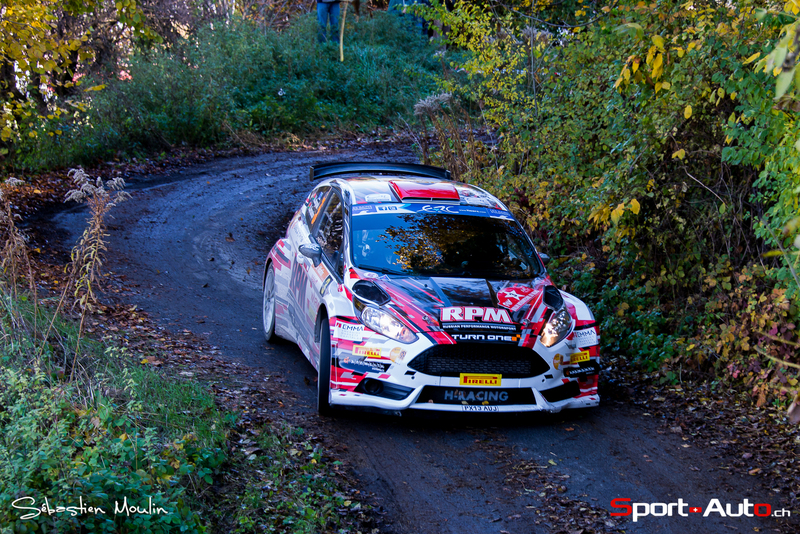 He finished ahead of Swiss national driver Pascal Perroud, who temporarily got his Ford Fiesta R5 stuck in a ditch on SS12. Bruno Magalhães finished 13th after transmission problems slowed his Delta Racing Peugeot 208 T16, although the Portuguese driver was pleased to have completed the event and gained a lot of experience, having crashed out on the first stage last year. Jonathan Hirschi (Peugeot 208 T16), Antonín Tlusťák (ŠKODA Fabia S2000) and Raul Jeets (Ford Fiesta R5) all crashed out on the long 33.07 kilometre Les Cols test (SS13). There was disappointment too for François Delecour, who had been enjoying a stunning drive in the Tuthill Porsche 997. Having set the second fastest time on the all-Tarmac SS11, the FIA R-GT champion slipped to fifth after losing time on the wet and slippery gravel sections on the next stage. However, a leaking radiator was of greater concern, and he was forced to retire from sixth position after SS15 with overheating issues. 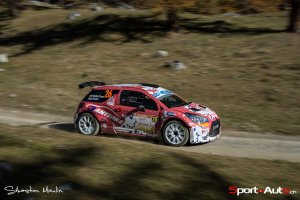 Dávid Botka is the 2015 ERC2 champion, after scoring victory on the Rallye International du Valais. A magnificent second half of the season, in which the Hungarian driver scored three wins in the final four rallies, saw the Mitsubishi Lancer Evolution IX driver eventually overtake arch rival Vojtěch Štajf – and together with four second place finishes, Botka is a very worthy champion. Štajf had led for most of the season, and he was quick again in Switzerland, scoring seven fastest stage wins. The Czech driver was in contention for the title right up until the final stage, when his Subaru Duck Czech National Team Impreza WRX STI – which had been suffering brake problems on the long downhill sections – cruelly stopped on the final stage. Whilst he wasn’t able to challenge Botka and Štajf for victory, Tibor Érdi never put a foot wrong in Valais and was rewarded with the runners-up up spot on the event. 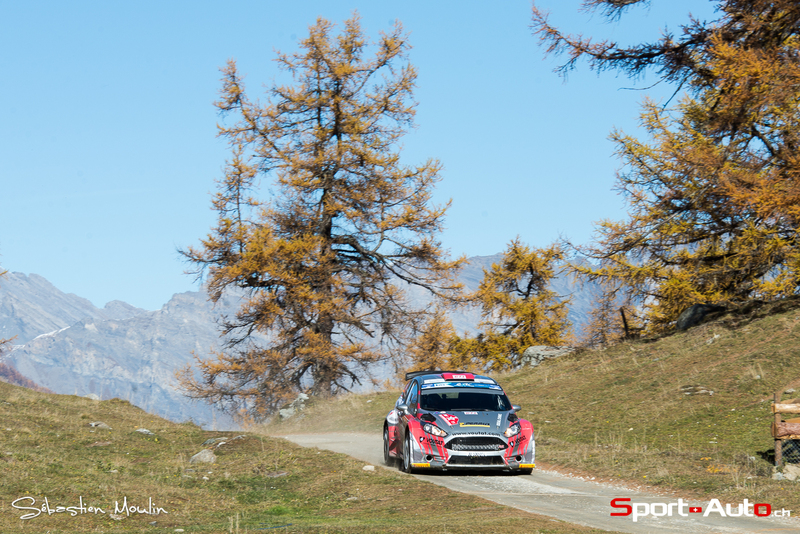 Alex Filip flew to a comfortable ERC3 victory on the Rallye International du Valais, setting 13 fastest stage times out of 17 to win by 4m41.3s. The Romanian driver revelled in the conditions, finishing 28th overall in his Renault Clio R3 Maxi Plus. Renato Pita set four fastest stage times, and was pleased to finish the tough event in his Peugeot 208 R2. Ekaterina Stratieva had secured the ERC Ladies’ Trophy title before the start, but fuel problems and a snapped clutch cable delay her progress in her Citroën C2 R2 – yet she continued with typical grit and determination to beat the odds and reach the finish. ERC wins in 2015: Breen 3, Kajetanowicz 3, Lukyanuk 2, Loix 1, Kopecký 1. ERC stage wins in 2015: Kajetanowicz 45, Breen 39, Lukyanuk 27, Kopecký 9, Loix 5, Lefebvre 4, Bouffier 4, Barrable 4, Kangur 3, Abbring 3, Pech 2, J Moffett 1, Kruuda 1, Jeets 1, Moura 1, Athanassoulas 1, Gonon 1.